The museum is home to life and earth science specimens comprising some 80 million items within five main collections: botany, entomology, mineralogy, paleontology and zoology. The museum is a centre of research specialising in taxonomy, identification and conservation. Given the age of the institution, many of the collections have great historical as well as scientific value, such as specimens collected by Charles Darwin. 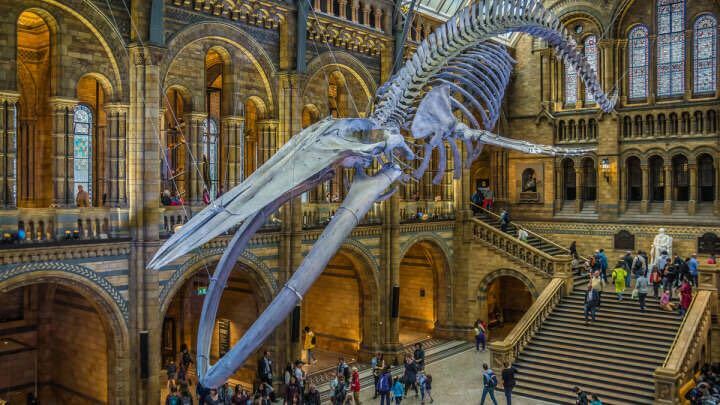 The museum is particularly famous for its exhibition of dinosaur skeletons and ornate architecture sometimes dubbed a cathedral of nature both exemplified by the large Diplodocus cast that dominated the vaulted central hall before it was replaced in 2017 with the skeleton of a blue whale hanging from the ceiling. The Natural History Museum Library contains extensive books, journals, manuscripts, and artwork collections linked to the work and research of the scientific departments; access to the library is by appointment only. 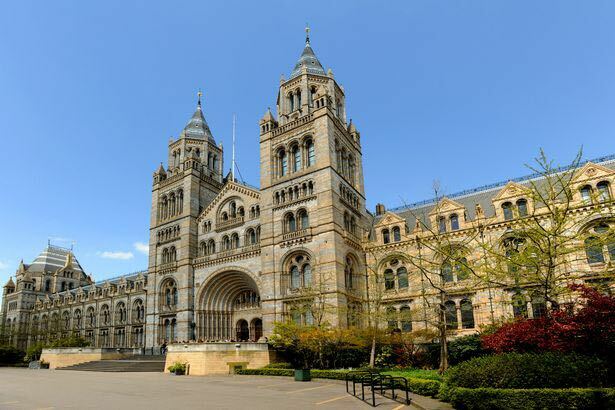 The museum is recognised as the pre-eminent centre of natural history and research of related fields in the world.